CON-SPACE COMMUNICATIONS Ltd., Government Accounts adio accessory, the SR-65 can be used with any make or model of facemask in hazardous environments and in high noise areas. This accessory is waterproof, and uses a throat mic, designed to provide clear speech and comfort under abnormal work conditions. 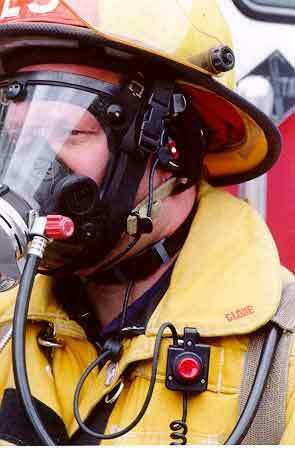 Voice is received through a slim-line padded speaker, secured to the mask with velcro and resting over the ear for voice clarity under all conditions. Equipped with a PTT that can be depressed through heavy bunker gear or a protective HAZMAT suit, this system is also available with an optional PTT to allow virtual hands-free radio communication.